Havok is pushed to the limits, ending up in cuffs. Lies are revealed and the last people he thought would cross him, DID! Shannon found her happiness with Shontez but then got a shock of her life. She learns quickly that she’s the only one dealing with the damages and consequences of her failed relationship. Troop’s return is unwanted, but that doesn’t stop him from making his presence known. 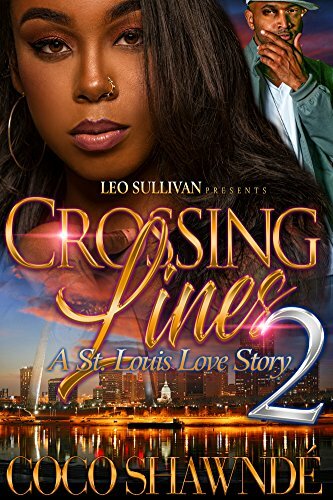 Shannon decides to move on from Shontez even when her heart doesn’t want her to. She flees from St. Louis with not much of a goodbye to her love ones. With time passing, life is working over on her. Being a single parent on her own; she has done it before. With the stressing news she receives, she is more down on her luck than ever. When unwanted circumstances push her to travel back to the place she wished to forget about, Shannon’s life is constantly being tried. With forgiveness being the final form of love, will the two have it when the opportunity presents itself? In this last installment, will Shannon ever be forgiven or are the lies she told too great? Shontez’s feelings have been spat upon, leaving him to trust no one. Find out what crossing the lines with Havok leads to in the END.